Blaine passed away on October 31, 2018. He was born in Salt Lake City on March 18, 1929 to Wilbur L. Rasmussen and Sybil Winn Rasmussen. His youth was spent during the Great Depression and World War Two. He learned and practiced the virtue of hard work as a young boy. He graduated from South High School in 1946 and the University of Utah in 1950 when he was only 20 years old. 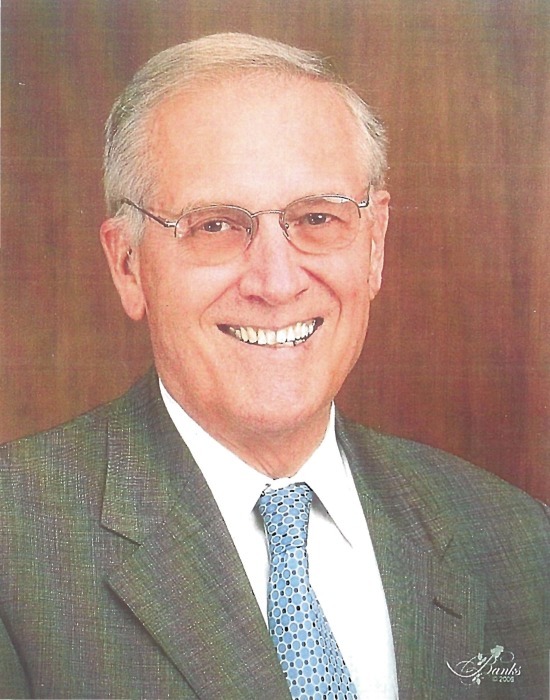 He majored in Banking and Finance and was affiliated with the Sigma Nu fraternity. 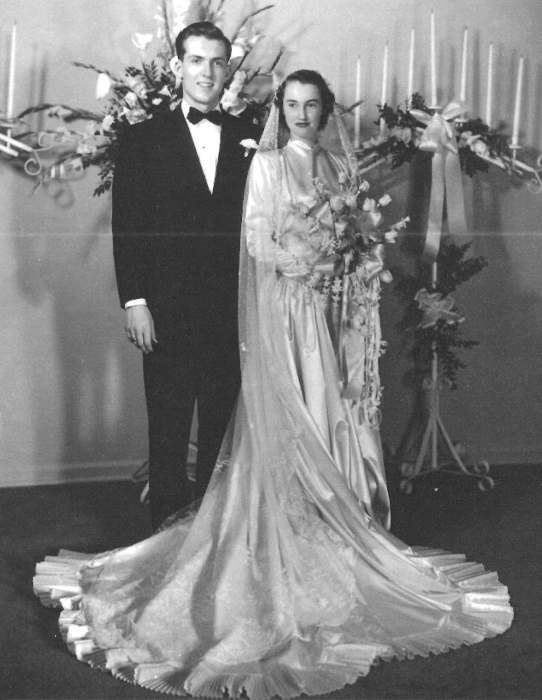 On January 20, 1950 he married Marilyn Parry, his University sweetheart, in the Salt Lake Temple by Apostle David O. McKay. Afterward, they moved to California where he worked for Shell Oil Company. They remained with Shell for the next 13 years living in the San Francisco Bay Area, Houston and New York. While living in New York they decided they wanted to return to California where they would be closer to family and friends. Blaine accepted a position with Kaiser Permanente Health Plan in Oakland, California where he remained for the next 22 years. He was a financial innovator in the health care field and his method of analysis caught the eye of a prominent Stanford University professor who incorporated his method of analysis into his MBA program. Blaine's career allowed him and Marilyn to visit many exotic places including Barbados, Jordan, Turkey, Singapore, Hong Kong, Bangkok, London, Sumatra, Bali, and Jakarta. After retirement they returned to Salt Lake where Blaine did many things, including earning his Series 7 Brokers license, serving as a docent at the Utah State capitol, and teaching at the Salt Lake Community College. He and Marilyn spent much time enjoying their cabin high in the Uintah Mountains which they built for their retirement and as a family retreat. He gave life-long service to the Church of Jesus Christ of Latter - Day Saints. 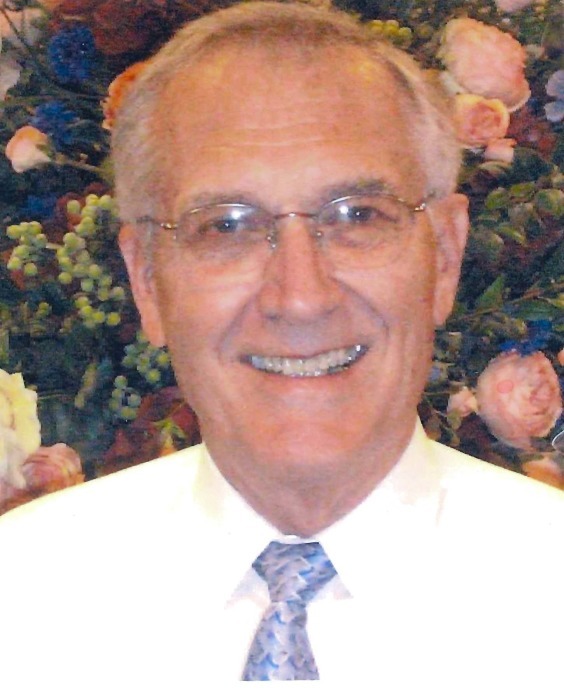 He held many leadership positions including bishoprics, high council, scout master, Elders Quorum President, High Priest Group Leader and other callings. He served in a variety of service missions including the Cambodian Branch in Oakland California, the Finance Department in the Church Office Building, Family History Library, Humanitarian Aid Center, and as a docent at the Church Museum of History and Art. He and Marilyn served two full time missions together, first in Minsk, Belarus and Moscow, Russia. Later they were called to serve in the Florida Tampa mission. Blaine was a caring husband, father, grandfather and great grandfather. Marilyn and Blaine particularly enjoyed taking their children and spouses on cruise vacations and celebrating family gatherings with fun and laughter. Their family has been their greatest joy during their 68 years of a very happy marriage. Blaine leaves behind five loving children: Jeffrey B. Rasmussen (Beverly), Julie A. Brinkman (Stephen), Merry Jane Kitzmiller (John), David M. Rasmussen (Tatsiana), and John P. Rasmussen. As his children, we are grateful for the legacy he left of generosity, valiancy in his testimony and service, treating all people with respect, his work ethic, patriotism, and intellect. We have faith that we can be with him again as an eternal family. Blaine's goal was rather simple: to be an honest man who tried to make a difference. His crowning achievement was his family. He is survived by his wife, 5 children, 20 grandchildren and 48 great grandchildren. 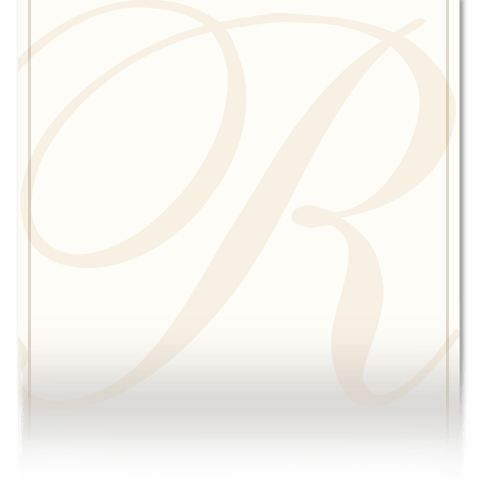 Funeral services will be held at the Moss Hill Ward of the Church of Jesus Christ of Latter-day Saints located at 455 South 1200 East, Bountiful, Utah. Services begin at 11:00 AM, Wednesday, November 7th. A viewing will be held 9:30 – 10:45 AM the day of the service. There will not be any other viewing. Blaine will be interred at Larkin Sunset Gardens, located at 1950 East 10600 South, Sandy, Utah.